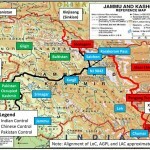 Media disclosure of a new ITBP report revealing China violated the Line of Actual Control (LAC) 14 times between August 4 and August 19 in Ladakh, with deepest intrusion (officially termed transgression) 18 km inside Indian Territory, is disconcerting. Other than these 14 intrusions, China also violated the LAC four times in Uttrakhand, coming four km deep on one occasion. 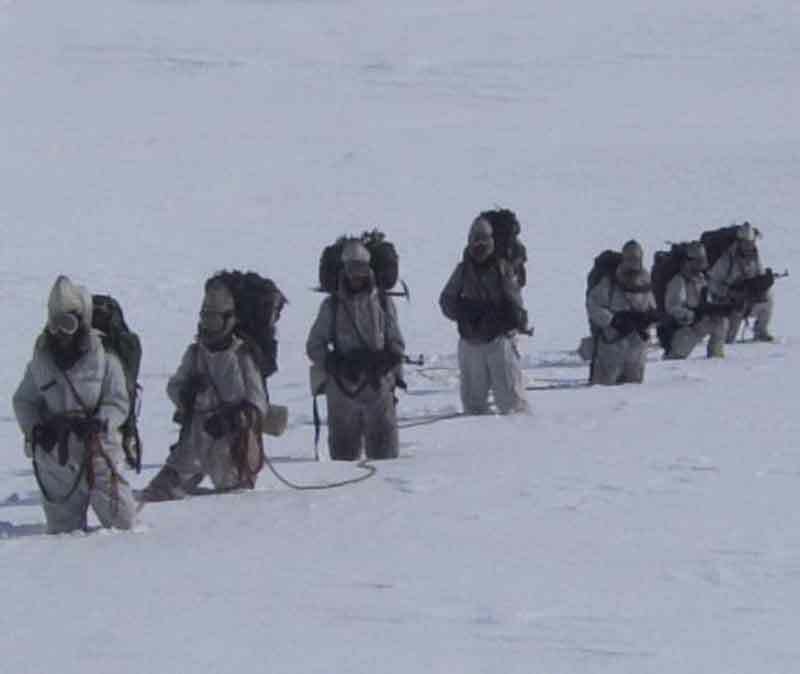 Intrusions in Ladakh were in areas of Depsang Plains, Trig Heights, DBO and Pangong Tso. Of these, six were in Depsang Plains including the deepest one, reminding one of the 18 km deep PLA intrusion in Raki Nala area of Depsang Plains before the visit of Chinese Premier Li Keqiang to India in 2013. It may be recalled that China withdrew from that intrusion only after India agreed to dismantle cameras at Chumar 400 km south of that intrusion. The above intrusions were never reported by government sources and have come to light only when a media house managed to extract the ITBP report from whatever source. There have been five Chinese intrusions in Pangong Tso area also, where on August 15, 2017 Chinese troops had indulged in stone pelting and using steel rod against a mixed patrol of Indian Army and ITBP. The period August 4-19, 2018 was also chosen to span this year’s Independence Day functions of India. But this is not all. A month after the informal summit between Prime Minister Narendra Modi and Chinese President Xi Jinping at Wuhan, China in April 2018, China made 30 intrusions into India Territory during May 2018. In Jun 2018, 50 PLA troops transgressed two km into India territory in Sikkim resulting in a four-hour standoff, which was denied by the government for political reasons but confirmed by other sources. In August 2018, PLA in garb of grazers pitched tents at Demchok inside Indian Territory and despite flag meeting between both sides, some of the tents continue with PLA-grazers. Above indicates that there has been absolutely no let up by China in violating the LAC after the Wuhan Summit. On the contrary, China has increased them exponentially. Apparently, the spirit of Wuhan underscoring “the importance of maintaining peace and tranquility in all areas of the India-China border region in the larger interest of the overall development of bilateral relations” is only applicable to the Indian side. The number of intrusions may actually be more considering government doesn’t report these, and whatever comes in news is because of the initiative by individual journalists or news channels. News that the government does release is of events like routine border meetings and Indian and Chinese troops exchanging sweets on Independence Day at Nathu La, as would be reporting about the forthcoming Hand-in-Hand exercise between the two armies later this year. India is currently gripped by election fever but this intensity was hardly there in immediate aftermath of the Wuhan Summit. So why did China step up its aggressive activities across the LAC? Of course Xi or no Xi, China never does what it says but there could be many other reasons. In concert with Pakistan, China wants to maintain constant pressure on borders with India since aims of China-Pakistan coalesce in keeping India under pressure, keep its economy down and grab as much Indian territory, as possible. Small intrusions facilitate nibbling action, for example, the PLA-gazer tents that continue to be pitched at Demchok can gradually keep shifting deeper. Periodic intrusions are deterrent to Indian attempts for improving the border infrastructure that continues to be in poor state, by objecting to every move. China also keenly studies Indian reaction; does Indian media report, has the government objected and at least officially let out that China is not adhering to the Wuhan spirit. The above helps China formulate its future strategy. More the intensity of intrusions, more these are taken as routine. Lulling the adversary into complacency has the advantage of surprise when something bigger is attempted. Significant to note that while Chinese violations in Ladakh and Uttrakhand have been stepped up, Arunachal has been comparatively quiet after the Chinese intrusion in Tuting area during December 2017-2018 when a hunter discovered by chance China had constructed a road 1.25 km inside Indian Territory despite the area under three feet of snow. Is China planning something in northeast during coming winter knowing India troops move back after Op ‘Alert’ since border infrastructure is the weakest in that region and faced with elections that Indian government will likely choose to remain mum. We certainly need to be very careful coming winter. Chinese intrusions will likely continue to remain stepped up also to assist Pakistan which India is threatening instead of acting. 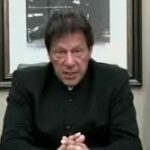 Posing a question who wants a strong India would lead to the conclusion that there are many others that come in the league of Xi Jinping and Imran Khan who would want India weak – the ‘who’ denoting countries, not individuals. Dispassionate examination of this question could actually be an eye opener to the government and the public at large why need to be militarily strong. In this backdrop, it is relevant to note that behind the growing Indo-US strategic partnership is the American need to counterbalance the growing menace of China that wants not only China-centric Asia, but a China-centric Indo-Pacific and finally surpass the US as the ‘Great Power’. It stands to reason than that the US should support a strong India that can stand up in face of Chinese aggression in all its forms. Unfortunately, the Trump Administration wants India strong to the extent it is in its interest but ‘through the US’. And this brings us to the issue of US sanctions under legislation known as Countering America’s Adversaries Through Sanctions Act (CAATSA). India just signed the $5 billion deal for import the Russian S-400 Triumf systems during visit of President Vladimir Putin. This was all the more essential with Russia supplying SU-35 to China. There is some criticism that the S-400 can be beaten by standoff hypersonic missiles but this is the age-old game of what is referred to as ‘mine and anti-mine’. China itself is procuring S-400 systems from Russia and now that Japan is all set to develop hypersonic weapons, India should follow suit. But this is about the massive pressure built in both US and Indian media of possible US sanctions under CAATSA before Putin arrived in New Delhi. That India went ahead and signed the deal without the US waiver is all the more remarkable with US recently having sanctioned for buying Russian fighter jets. But the question is that if India did indeed stand up to America, why did we not go full hog? Why did we not ink contracts like the $2.2-billion deal for four stealth frigates under Project 11356, licensed-production for assault rifles, joint Rostec-HAL venture for production of Ka-226 light utility helicopters since their production and fielding would take considerable time, and are related to the evolving threat? Even the planned import of 2 x IL-78 aircraft as AEW&C and 48 x Mi-17 helicopters could have at least discussed for conclusion at the next Indo-Russian bilateral summit? All this leads to the possibility that perhaps the US gave the unofficial green signal for going ahead with the S-400 deal but not for the rest. That is why India signed ‘only’ the S-400. After all the US has been talking about ‘case to vase waiver’, and sanctions ‘not aimed at harming friends’. Trump has been selective in making enemies and friends, India being in latter category. If US did unofficially green light India for the S-400 deal, Trump retains option to pressure India on trade tariffs later. Concurrently, it has enhanced PM Modi’s stature of maintaining strategic autonomy and defying America. Media reports now indicate hectic diplomatic activity to obtain official waiver for the S-400 deal. The US Senate had passed the National Defense Authorization Act-2019 in late July 2018, which Trump’s signature will convert to law, paving the way for modified waiver to Section 231 of CAATSA. 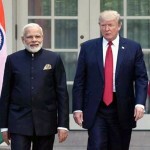 Since Trump considers India a friend, not adversary, grant of official waiver should actually be a matter of formality even after the deal has been inked. At the same time, the important point to is to remember that Moscow has readily given India advanced critical weaponry like nuclear-powered submarines and BrahMos. The US is yet to make a mark in this context.